InDesign CS6 – The new InDesign CS6 comes with interesting new features and ample enhancements that offer perfect precision control over the elements of design as layout, typography along with the publishing friendly nature that suits for every media. With Adobe’s Digital Publishing suite, designing for every facet of digital media such as publishing, tablets and the web are simplified than ever before. An additional advantage of using the latest software is well-matched using of familiar InDesign workflow for publishing and digital mediums. Priorities of design have drastically changed in the past few years. With the increased use of smartphones and tablets in the communication world, designers are compelled to create multiple versions of their designs that flow well between devices irrespective of the variants end-users are using. Liquid layout is the latest feature that helps designers to create content for multiple page sizes and orientations across diverse device platforms. By applying liquid page rules, you can determine how design elements of your page appear when you create an alternative layout of different size or ratio. Every designer comes across a daunting situation after completing a design to a particular size as per the client requirement. But, the phone rings at the last moment and the client asks from the other end of the phone, Can you change the template dimensions to a new size and send it immediately? All the labour you invested so far went into vain. Relax, the new InDesign has a solution so you can quickly fix the sizes avoiding hours of the pain-stalking crafting part. With the new Alternate Layout feature in InDesign CS6, the job is just a few clicks away. Adobe understood the importance of the requirement in the increasingly demanding print and digital mediums. With this new feature, designers enjoy the advantage of creating page sizes of the same document in the same file. For example, you can design a document with multiple variants as horizontal and vertical layouts. Another clearly visible improvement of InDesign CS6 is its Digital Publishing section. Here, aside with the print and web intents; now users can specify the digital publishing intent before creating a document. Most importantly, the new feature is intended to easily convert the content from one medium to another or from one device specifications to another. It doesn’t come as a surprise for Adobe enthusiasts and designing communities as they were expecting the feature to be included in the InDesign sooner or later, as the old document model of Adobe seriously needed change that is badly required for today’s workflows. Previously, the graphics that doesn’t belong to the original content of a layout are link and users have to update the linked items manually when the original changes. In this version, Adobe vigorously extended its reach far from its former. Now, it is possible to link an object in a layout to other objects with other layouts of the same document. You can choose to define one layout as Parent frame, and the other layouts will be the child frames. InDesign intelligently remembers the content of the Parent and its connections. If the content from the Parent frame is modified, the Child items indicate the changes in the link. A warning is displayed in the child layouts, and it can be easily updated in a click. Playing around with the text frame options is always a tough job for designers. To ease the job for a great extent, InDesign introduced the flexible width column options. With the help of this feature, you can easily control the number and width of column by resizing the text frame. Once the set numbers is reached, the columns are automatically added and in case, the file reached the maximum column width the column will be deleted. Linked Content is the functionality defined to duplicate easily images and content of one page on several other pages. The content can vary anything from links, text frames, interactive objects on the page, groups or the whole page items. The linkage is made possible independently irrespective of the frames they are contained in. 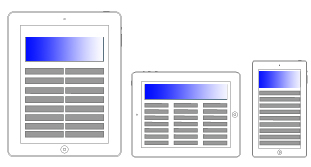 A major advantage of linked content is perceived while working on multi-device publication jobs. However, the feature is made applicable for all types of publications. Linked content feature can be shared with the Alternate Layouts to use the content in the generation layouts. Content Collector and Content Placer tools play a vital role in making linked content handy to the designers. They allow you to duplicate easily and place the content on an open InDesign document. The content conveyor displays the copied content which in return used to place and link content between multiple documents. The merits of Linked Content is not limited to the content mentioned above. Copying and mapping the style of various forms of content as Text, Paragraphs, Tables and Cells has become easier than ever. You can easily copy and map the style of one object to another. 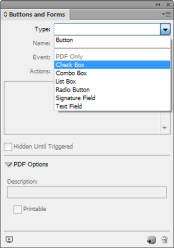 InDesign CS6 has made it much easier to design a form and export them directly to PDF. The latest version buttons and libraries that are loaded with content which you can use to design interactive forms. Now it is not necessary to post-process the PDF forms in Adobe Acrobat. Rather, you can choose to specify the tab orders and tool tips through InDesign. World-Ready composers with HunSpelli dictionaries came together to add an advantage of using several world languages into InDesign. Most of the languages in InDesign are shipped from the HunSpell dictionaries. HunSpell being an open-source platform, users can choose to download the required spelling and hyphenation dictionaries of the intended languages. In the new InDesign CS6, exporting workflows for EPUB files are simplified to a greater extent. Users can choose the EPUB version which they want to export the file. Alongside with the added features, the dialog box to export EPUB files is rearranged for further convenience. It is now easy to compare two different layouts of the same document. Split window feature allows you to split the existing window into two panes for easily comparing the contents of both the layouts. Use the InDesignMarkup Language (IDML) to save the existing document in a previous version format, to help others who haven’t updated the software. The IDML format files can be opened with from CS4 or versions released after that. Adobe extension manager is always an add-on for the loyal Adobe fans. As always, the CS6 version also had its set of improvements in the extension manager. One of the many interesting features added to the version is the quick search tool. Unlike the older versions, with the help of the new search tool, it became much easier to search for file extensions through names and metadata tags. The dependency feature is one more important addition in the versions, With the help of the dependency feature, one extension can have multiple dependency extensions and the dependency information can be specified in the MXI files. With all newly added features in Adobe InDesign CS6, it is once again proved that InDesign is the most flexible and user-friendly software when it comes to publishing and layout management. With the increased focus towards designing layouts for multiple devices, it is easy for designer communities and enthusiasts to expect Adobe’s increasing focus on diverse vertical management. What is Design Pattern in C#? What is Computer Graphic Design? What is Design Pattern in Java?